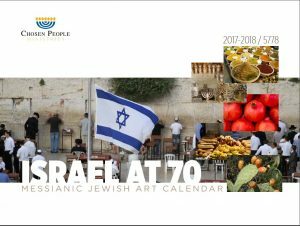 Order your Messianic Jewish Art Calendar! Next year is the 70th anniversary of the Nation of Israel! 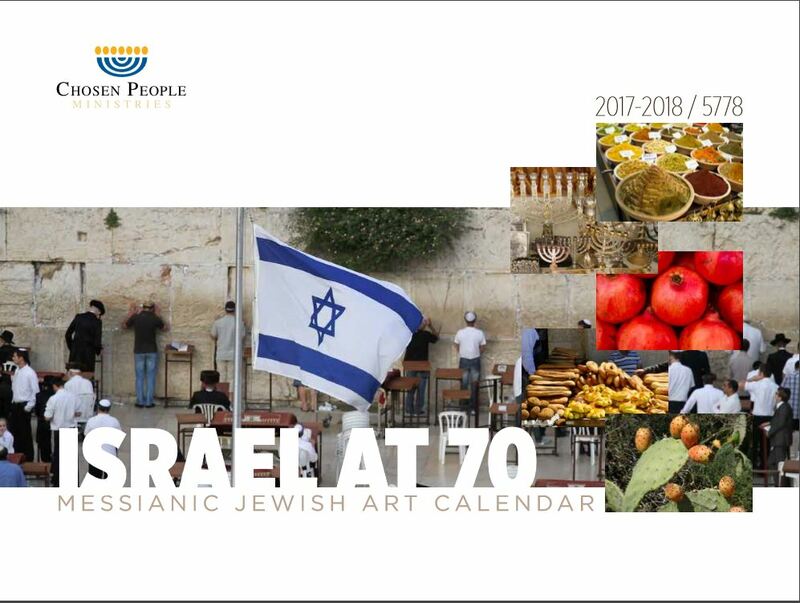 To mark this important date we have dedicated our Messianic Jewish Art Calendar to a fitting celebration of Israel, its people and most iconic places. The calendar is beautifully illustrated with photographs taken by Lawrence Hirsch, founder of “Celebrate Messiah”, a Chosen People Ministries partner organisation in Australia. His photographs really capture the true essence and beauty of Israel. Order your calendar today and you will be able to enjoy the images and messages all year. It makes a great gift too! Price is £11+ £2 p&p per calendar. Click here to order. https://www.chosenpeople.org.uk/wp-content/uploads/2017/12/CPM-UK-Logo-300x50.png 0 0 N Cooke https://www.chosenpeople.org.uk/wp-content/uploads/2017/12/CPM-UK-Logo-300x50.png N Cooke2017-08-31 11:58:182017-08-31 11:59:46Order your Messianic Jewish Art Calendar!